It's a special kind of terror when you almost crash the Batmobile. Well, really, it wasn't that close of a call. But then this wasn't just any Batmobile. This was the original. It wasn't one of those matte black military-looking machines from the movies. 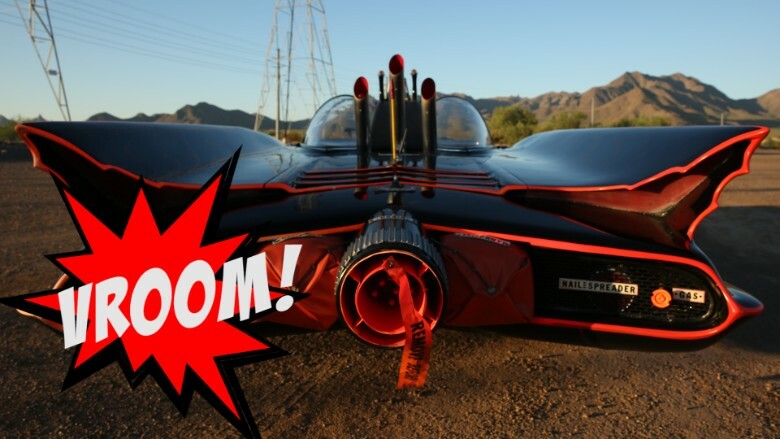 It wasn't driven by a brooding and emotionally conflicted Batman with visible emotional scars. This was the Batmobile from the 1960s TV show, shiny with neon orange stripes. It was driven by my childhood hero, the comically uptight, painfully polite defender of the good citizens of Gotham as played by Adam West. I sat in the same seat Adam West sat in. It felt pretty cool, and I was the only journalist who got the opportunity. 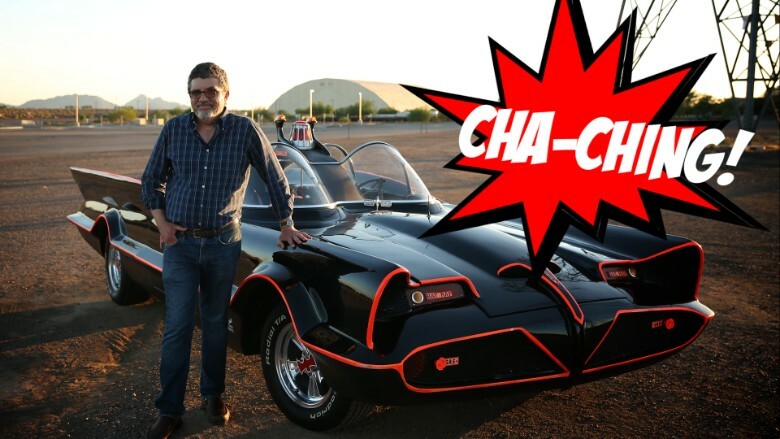 I drove the same Batmobile I watched him drive in "Batman" reruns over 40 years ago. There were others made for the show that he would have also driven but this was the first. It's for sale. Asking price: $5 million. And I almost ran it off the road. You see, the Batmobile, like the aging TV star it is, is in kind of rough shape. It's tough to get replacement parts for what was, in 1955, an experimental concept car built by Ford (F). Back then, it was called the Lincoln Futura. 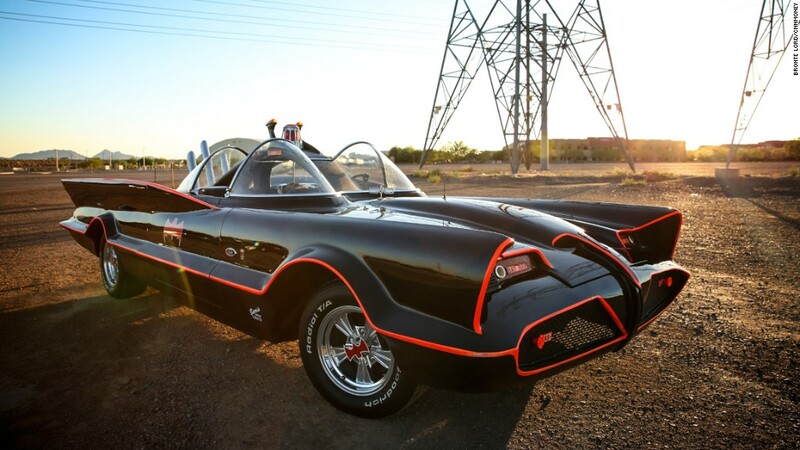 In 1965, master Hollywood car customizer George Barris, bought the Futura and turned it into the Batmobile. In 2013, Barris sold the car at a Barrett-Jackson collector car auction for a total of $4.6 million, including fees, to an Arizona collector. That collector, who has asked not be named, has decided he's had it long enough. It's not being auctioned but Barrett-Jackson is, again, handing the sale, this time as a simple retail transaction. (As in, if you're interested, give them a call.) They let me spend about half a day driving the car in a closed desert location. It drove straight and the steering wheel worked with the expected old-American-car sloppiness. The brakes are, by modern standards, less than heroic. I quickly learned to press on the brake pedal like I was trying to crush an alligator to death with my foot. The Batmobile would stop after a while. So there I was, following behind a Toyota Corolla carrying a cameraperson and a fellow from Barrett-Jackson, the company selling the car. He was carrying a fire extinguisher. It was just a precaution, I was assured. The shoulder of the Batmobile's left wing blocked my vision on one side, the black bar arching along the top blocked it on the other. In front of me, the scorching Arizona sun fractured and glinted through a scratched plastic bubble windshield that also warped everything ahead. After a while, I'd gotten used to the view, so I decided to go ahead and see what the Batmobile could really do. I let the Corolla gain some distance and I gunned it. The engine roared, the car's bat nose lifted up a little and and I closed up fast on the Corolla. Then the Corolla made a left turn I hadn't expected. I had to stay with it so I slammed on the brake pedal to slow down. This time, the brakes decided to work. The wheels locked up, making a squealing sound just like a TV chase scene. 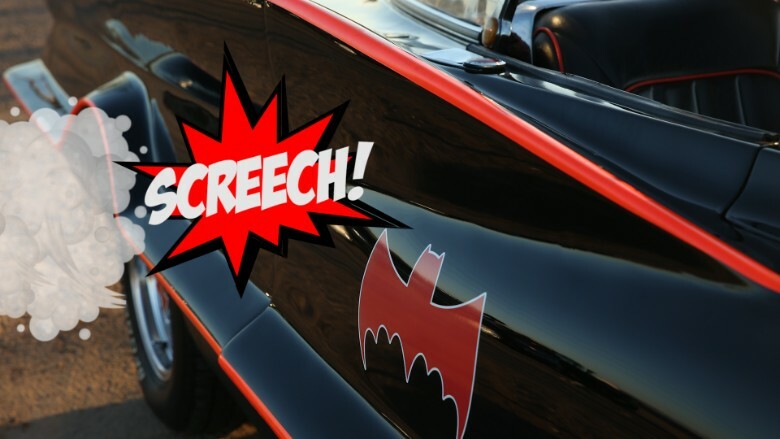 With the car sliding toward the roadside gravel, I eased off the brakes a little to let the tires get back their grip and guided the Batmobile through the widest turn I could make without running off the pavement. I had saved the Batmobile from my own impetuousness and I had found out what the Batmobile can do. It can do pretty well for a superhero that's 50 years old and then some.